There are now two more women added to the growing number who have accused legendary comedian Bill Cosby of sexual assault. Three women — one who had reportedly come forward as a Jane Doe in Andrea Constand's 2005 suit previously — were present at a press conference with legendary feminist civil right lawyer Gloria Allred Wednesday. Allred and the women had some words for Cosby. The women in question were Helen Hayes, a woman identified only by the name Chelan, and Beth Ferrier, the latter of whom claims to have come forward previously. 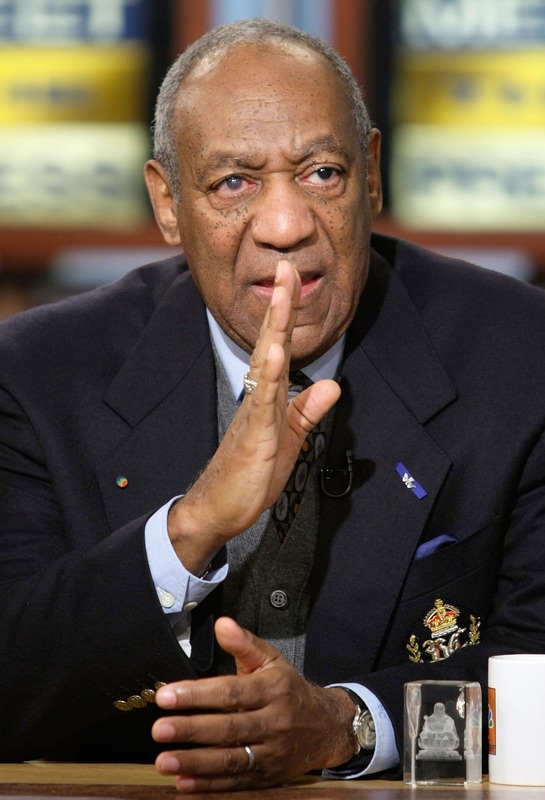 The three women recalled the memories of their alleged rapes by Cosby, and Allred issued a message to Cosby. The attorney suggested that the comedian either waive the statutes of limitations for the accusations so that the women accusing him could pursue legal justice — or to, as USA Today reports, "place $100 million into a fund and then be judged with his accusers before a panel of retired judges who would arbitrate the merits of each claim and dole out compensation if a claim has merit." Justice demands accountability. We challenge Mr. Cosby to end this nightmare.... We look forward to his response. If Mr. Cosby believes all the women are being untruthful, then this is his opportunity to prove it. What could be fairer than that? [...] It could be advantageous for Mr. Cosby to give up the statute of limitations because there is a huge cloud on his reputation and legacy. The public deserves to know if Mr Cosby is a saint or a sexual predator. You can read Authur's write-up here. Only time will tell whether Cosby responds to Allred's proposal.